This topic contains 7 replies, has 3 voices, and was last updated by Tracy Bui 2 months ago. No captcha available on Send to Friend at homepage, leading for spammers to flood spam emails from server. In this case, please update our theme to get it. 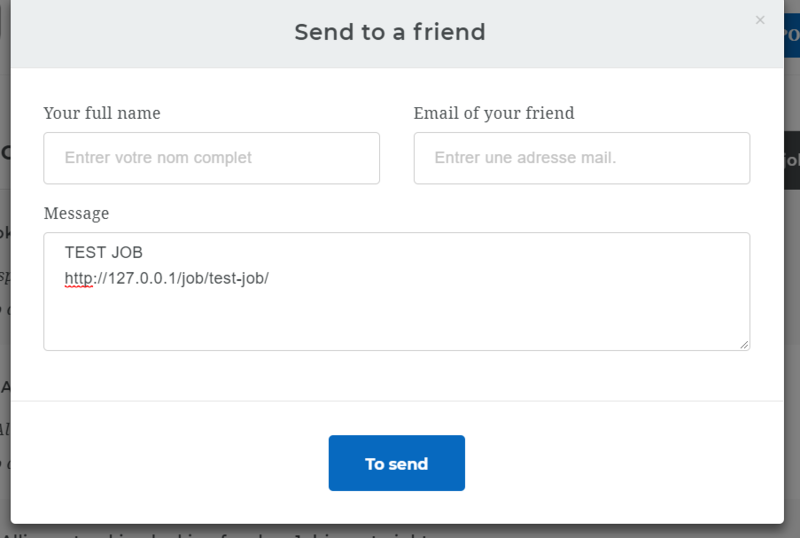 Please check the config at customize/ Jobs & Company / Job list tab, we have the option to show/hide captcha for send to friend form. To enable the captcha for Company contact form, please go to customize/ Job & Company/ Single company, select the full information, it will show the use captcha config. Turn on the captcha then select your single company layout again. It will help you show the captcha for the company contact form. Thanks a lot, it would be much helpful if you could update it in documentation. We will have a plan to update our documentation as soon as possible.